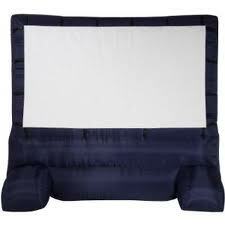 The 23' Giant Inflatable Movie Screen Rental is great for schools or movies in the park. This huge screen is commercial grade and is like having a drive in movie screen for your event. We provide the screen, speakers and projector. *Must be used at night.